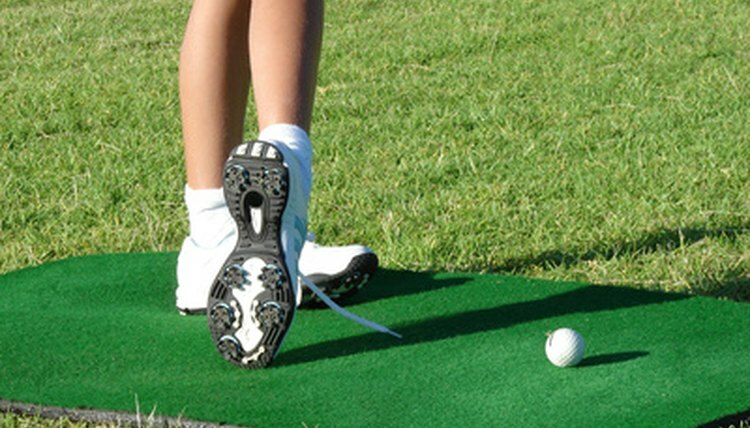 Golf shoes and spikes are an important way to maintain a steady balance while playing. There is a relationship between your golf score and how well you maintain your golf shoes. And if they are kept up properly, you won't have to think about them regardless of whether you are in the rough or on the fairway, on the green or in a sand trap. Instead, you'll be thinking about your next shot and any swing thoughts you brought with you to the golf course. Most players take their spikes for granted, and only change them when they no longer keep them steady. If you want your golf shoes to keep you steady longer, read on about how to care for your spikes. Rid the bottom of your golf shoes of any ground-in dirt. Then use a cleat wrench that you'll find in any sporting goods store or pro shop. In a counterclockwise motion, gently remove each spike. Clean the holes of any debris. In a clockwise motion, use the wrench to put in your new spikes, and make sure that each of them is firmly in place. While you're at it, freshen up the uppers with shoe polish to improve the way the shoes look, because your looking good may translate to lower scores. Replace your spikes frequently, based on how often you are on the course. If you play only once each week, your spikes should be changed about two time a year. However, if you play every day, you should change them once each month, whether or not if they are worn. Consider your spike material. For years, greens-keepers have said that metal spikes damage greens. Now, many courses only allow you to wear soft spikes made of rubber or plastic. Because they are less durable than metal spikes, a weekend player should replace them every 2 to 3 months, while a person who plays daily should do so about every 3 weeks. Stay current with technology. All the time, companies are adapting soft spikes to improve your stability on the golf course. For example, they are now marketing spikes with a type of grit that will make your shoes adhere to the ground. Keep an amply supply of spikes on hand since you are now committed to changing them more often. By the way, since spikes are so inexpensive, don't save a few pennies by replacing only those that show wear. Otherwise, you will compromise the composition of your golf shoes and they will not last as long. There are hundreds of companies with websites where you can buy spikes online (see Resources).